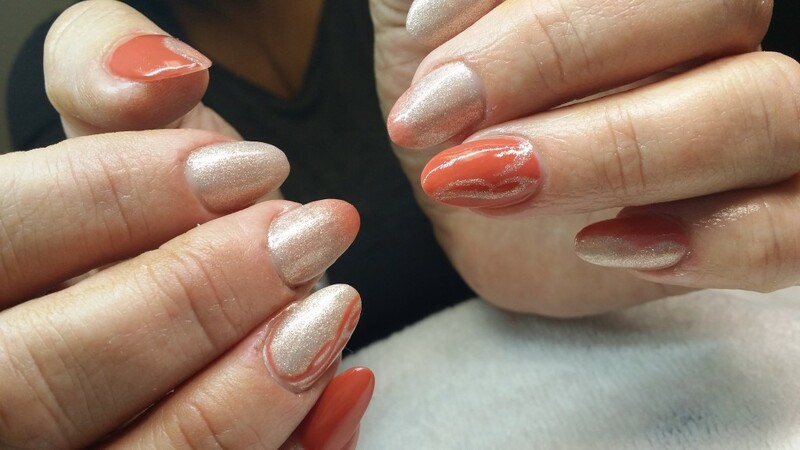 Usually when Ali comes for nails, it is her design ideas but this time I got to choose. I started with a base color of “Black Dress Not Optional” on all her nails, then on two of them I used foil over OPI Base Gel (it gets nice and sticky so the foil sticks to it). 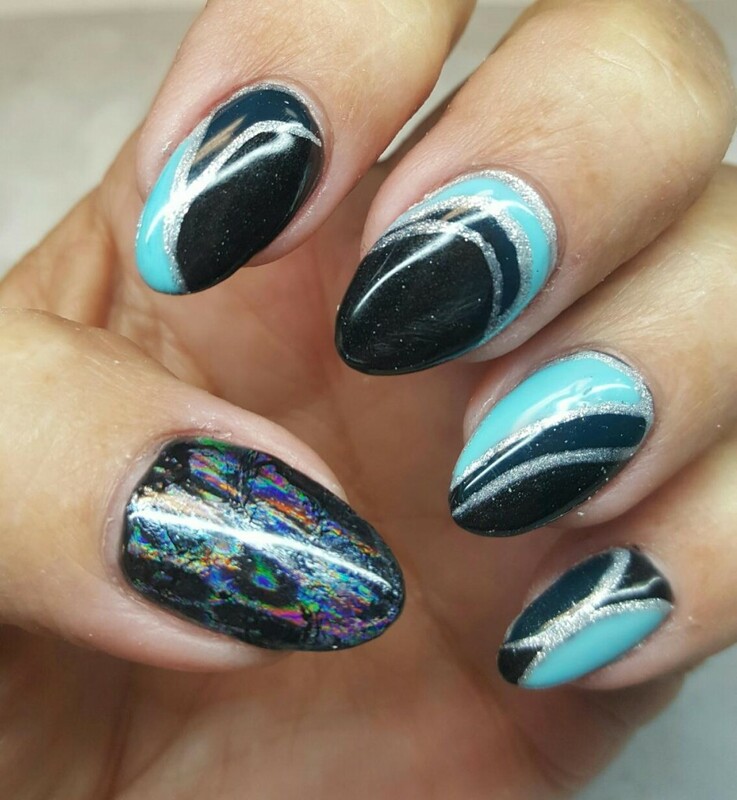 The foil is called Opal Tides. It is translucent so it lends a nice effect to the color shade. 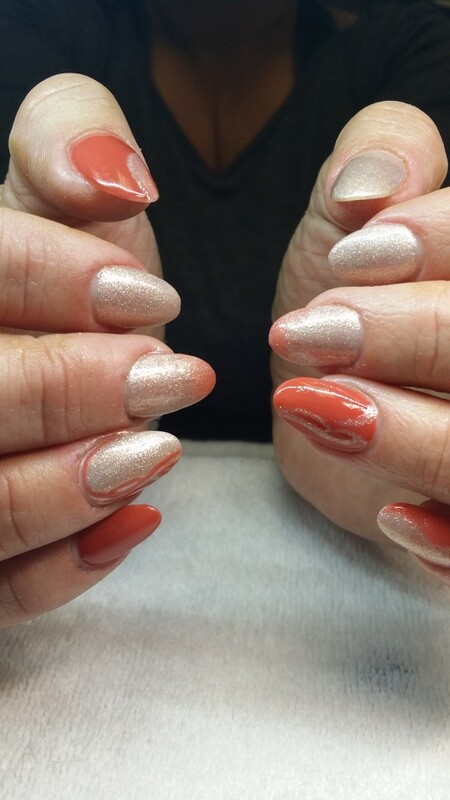 I then randomly placed “I Believe in Manicures” and beside it or adjacent to it, “CIA-Color is Awesome” both in gel color and then cured them 30 secs in a LED light. For the finishing touches I used OPI Artist Series gel color in “It’s a Steel” to outline and accent the three colors. 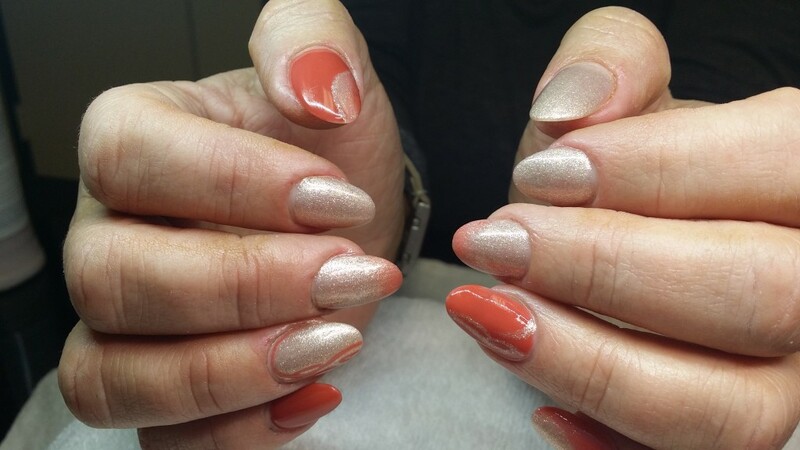 Finish it with OPI Gel Color Top coat, cleanse, top with cuticle oil and away you go into the couture evening in pretty fall colors from OPI!